Many of the medications used to kill cancer also fog our minds and numb the nerves that send information to our brain. It’s not always easy to tell friend from foe. Is a particular symptom due to cancer, or the drugs fighting that cancer? Or is it due to something else entirely? There are a number of different ways that chemotherapeutic agents can damage the nervous system. What follows is far from exhaustive, but gives an overview of some of the ways chemotherapy can damage the nervous system. While some neurological consequences of chemotherapy occur immediately, others may take years to develop. Busulfan, for example, is often used to prepare patients for stem cell transplants but is also commonly associated with seizures during its administration. For this reason, antiepileptic medication such as phenytoin may be used while it is given in order to prevent seizures. However, the risk for seizures improves when the medication is no longer being given. Cytarabine is sometimes used to treat ​leukemia and lymphomas, and can also lead to complications soon after administration. For example, it may lead to confusion and encephalopathy, and also cerebellar findings such as clumsiness (ataxia). The medication should be stopped immediately if this occurs. Some patients recover, but some patients don’t. Cytarabine can also be injected intrathecally, but this may occasionally lead to a transverse myelopathy with leg paralysis and sphincter dysfunction. Again, the medication should be discontinued immediately if this occurs. Spinal damage from cytarabine is usually permanent. Methotrexate can be used to treat a wide range of cancers, and also causes a wide range of potential side effects, some of which can occur early and others late. For example, it can cause aseptic meningitis which occurs almost immediately when the drug is given intrathecally. Aseptic meningitis usually follows intrathecal administration and occurs in up to 10 to 50 percent of patients who receive the drug in this way. Symptoms include a headache and stiff neck as well as nausea, vomiting, and fever. Treatment is usually not required as symptoms resolve on their own. In contrast to these more acute complications, methotrexate also causes a leukoencephalopathy, meaning a cerebral disorder due to changes in the myelinated regions of the brain, which can occur even years after the drugs have stopped. This is especially concerning when methotrexate is used to treat diseases of young people, such as childhood leukemia. The side effects can range from mild learning disabilities to severe dementia. On MRI, characteristic lesions can be seen. Severe cognitive changes such as methotrexate leukoencephalopathy are not unique to that drug alone. In fact, cognitive changes are so common in chemotherapy that an informal term, “chemofog,” was coined to describe the phenomenon. Chemofog includes a wide range of cognitive side effects often associated with chemotherapeutic medications, with symptoms ranging from mild confusion to severe dementia. The permanence of these changes may also vary. Ifosfamide, for example, is an agent used to treat solid tumors. The drug can sometimes cause an encephalopathy, but this usually recovers shortly after the agent is stopped. Other encephalopathies, such as the leukoencephalopathy of methotrexate, can cause a lasting deficit. Posterior reversible encephalopathy syndrome (PRES) is another potential complication of many chemotherapeutic agents, particularly cyclosporine and tacrolimus. These medications are often used to prepare people for organ transplants. The symptoms can include a headache, confusion, seizures, or focal neurological deficits. On MRI scans, cloud-like intensifications may be seen that often present near the back of the brain. Medications should be stopped or changed if PRES is present. Cancer often causes what physicians call a hypercoagulable state, meaning that blood clots are more prone to format inappropriate times and locations. For example, a clot may form in the brain, causing a stroke. Unfortunately, some chemotherapies can also cause strokes, such as methotrexate, cisplatin, imatinib and more. Some agents, such as bevacizumab and sunitinib, intentionally target blood vessels since tumors often create new vessels to send nutrients to the abnormal growth. Unfortunately, side effects can include hemorrhage or ischemic strokes. As another example, L-asparaginase is often used to treat acute lymphoblastic leukemia (ALL) and sometimes causes venous sinus thrombosis to form even in children. This usually resolves with a break in the medication regimen. If a blood thinner is then administered, sometimes the medication can be resumed. Peripheral neuropathies are a common side effect of chemotherapy, particularly for platinum-containing agents such as cisplatin and oxaliplatin. The peripheral neuropathy caused by cisplatin causes progressive numbness and paresthesias that start at the edges of the fingers and toes and spreads inwards. While the sensation of the body in space is damaged, the sensation of pain and temperature is almost always spared, which distinguishes cisplatin neuropathy from most neuropathies that can be caused by cancer itself. The risks of dose reduction or switching to a less neurotoxic agent like carboplatin needs to be weighed against the benefits of continuing cisplatin therapy. The neuropathy may worsen or even begin months after cisplatin is stopped. Oxaliplatin is associated with the sudden onset of paresthesias in the hand, feet, and around the mouth, all of which are worsened by the cold. It can also cause a similar neuropathy to that caused by cisplatin, though oxaliplatin’s neuropathy is more easily reversible. Other chemotherapeutics associated with peripheral neuropathy include docetaxel, vincristine, and paclitaxel, among many others. Neuromuscular damage is less common than peripheral neuropathy, but may still occur as a result of chemotherapy. Doxorubicin, cisplatin, etoposide, and others can actually lead to a symptom akin to myasthenia gravis. Imatinib used to treat some forms of leukemia, may cause muscle cramping and myalgias, but these are usually mild and responsive to medication such as calcium or magnesium. 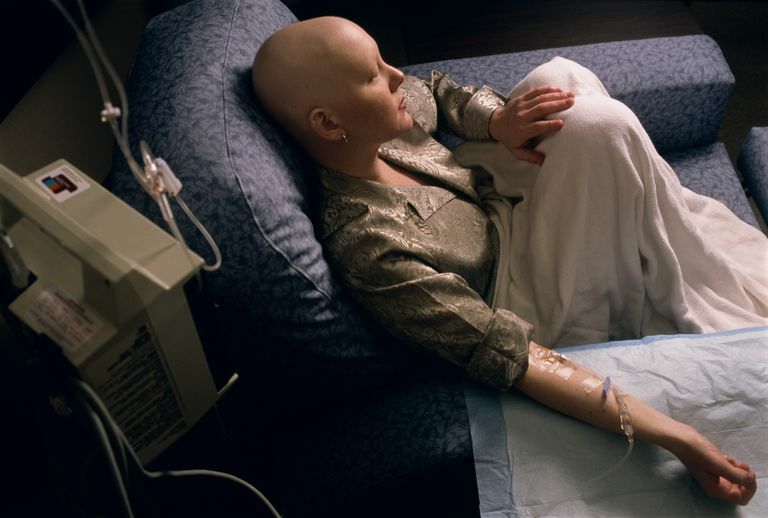 It’s no secret that chemotherapy is a very powerful medication with high risks of side effects. What's written here is only a very broad outline. There is a reason that these medications are usually held in reserve for diseases as serious as cancer, in which the benefits of taking the medication outbalances even significant risks. The purpose of this article is not to dissuade those who need these medications from taking them, but to ensure that people are aware of potential side effects in order to better navigate the complexities of cancer treatment. EQ Lee, IC Arrillaga-Romany, PY Wen. Neurologic Complications of Cancer Drug Therapies. Continuum Lifelong Learning Neurol 2012;18(2):355–365. EQ Lee, PY Wen. Neurologic Complications of non-platinum cancer chemotherapy. In: DMF Savarese, Ed UpToDate.